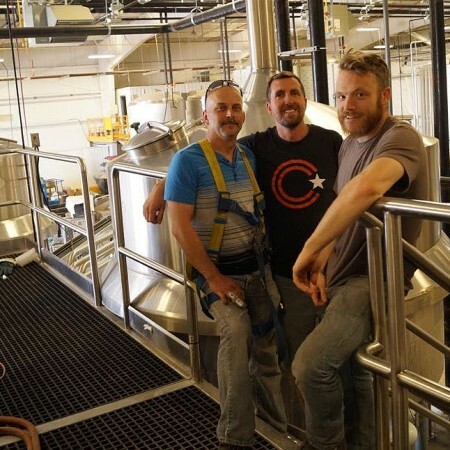 HAMILTON, ON – Collective Arts Brewing and Nickel Brook Brewing have announced that after more than a year of planning and construction, their collaborative brewing facility in Hamilton, Ontario will be opening its doors to the public next month. The Arts & Science Brewery is located in the former Lakeport Brewing facility at 207 Burlington St. E. in Hamilton’s port lands. The 40,000 square foot brewhouse will greatly increase brewing capacity for the companies, allowing them to meet the ever increasing demand for their brands. The first brew day in the new facility took place in late June, and the finishing touches are being put on the brewhouse and the retail shop in preparation for an August grand opening. For more information on the opening of Arts & Science, keep an eye on the Facebook feeds for Collective Arts and Nickel Brook for details as they are confirmed.